Frank Nicholas Sr. born October 2, 1930 in Jeanerette, LA to Willie Roman Sr. and Authene. Frank Nicholas and Gertie met in 1950 and united in marriage in 1951. To this beautiful union, 3 children were born, Frank Nicholas, Jr., Gail Nicholas and Dwight Nicholas, Sr.
Frank attended school in Jeanerette LA. He was a merchant Marine and worked at Todd Shipyard and was a citizens Policeman and Security Guard for the Port of Galveston. He also owned and operated a paint and body shop out of his home. After Frank and his beloved Gertie moved to TX they joined Wesley Tabernacle United Methodist Church in 1959. Because of health issues, he moved his membership to Mt. Olive Baptist Church. Frank was devoted to Gertie for 60 years and loved her day by day in her good days and bad. Frank is preceded in death by his wife of 60 years, Gertie Nicholas; parents; son Frank Nicholas, Jr.; 2 sisters and 3 brothers. Left to cherish his memories are daughter, Gail Nicholas Lyons (Leroy); son, Dwight Nicholas Sr.; grandchildren, Michael Winston, Jr., Dwight Nicholas, Jr., Deyona Monae Nicholas, Roderick Dwight Hockley; 11 great-grandchildren; sisters Deborah Norman and Rosemary Joseph; brothers Lawrence Roman, Eldridge Roman, Willie Roman, Milton Joseph, and Leonard Joseph; devoted friends Eugene Cooks, Hebert Graves, & Mr. Hypolite. Services will be held Saturday, April 13. 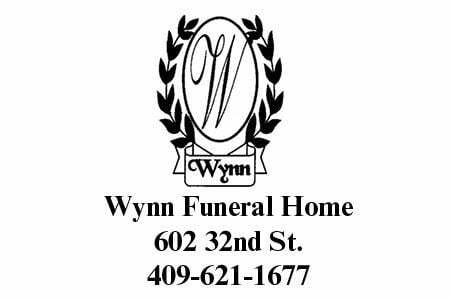 The viewing will begin at 11 a.m. with the funeral service to follow at 1 p.m. at Mt. Olive Baptist Church, 3602 Sealy St., Galveston.